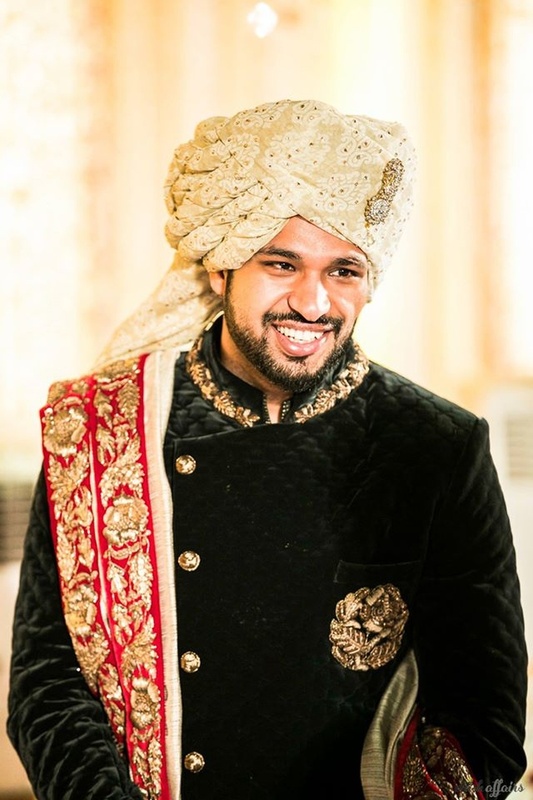 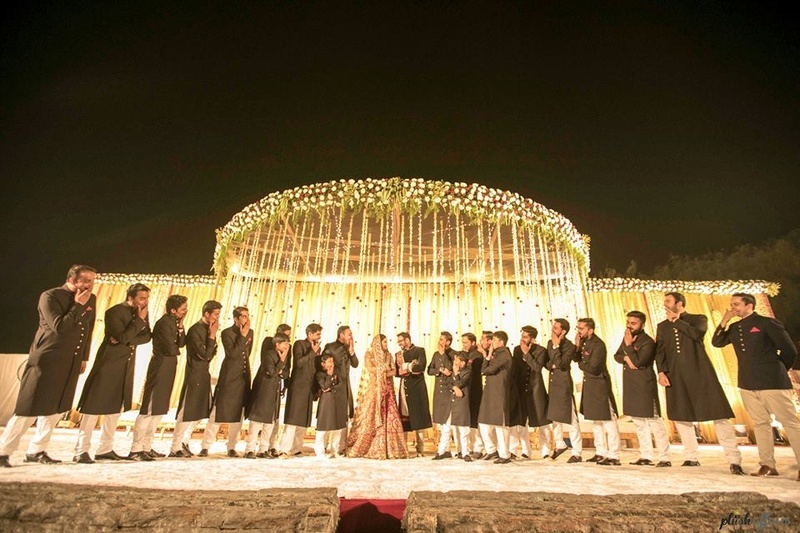 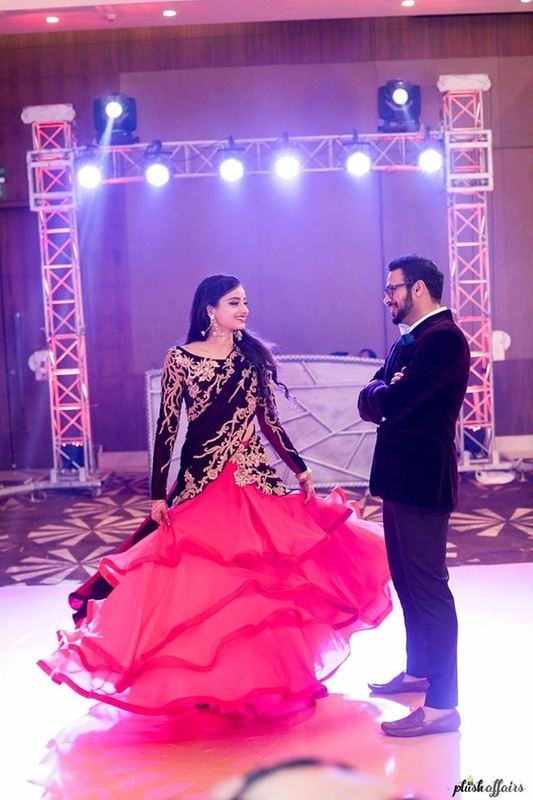 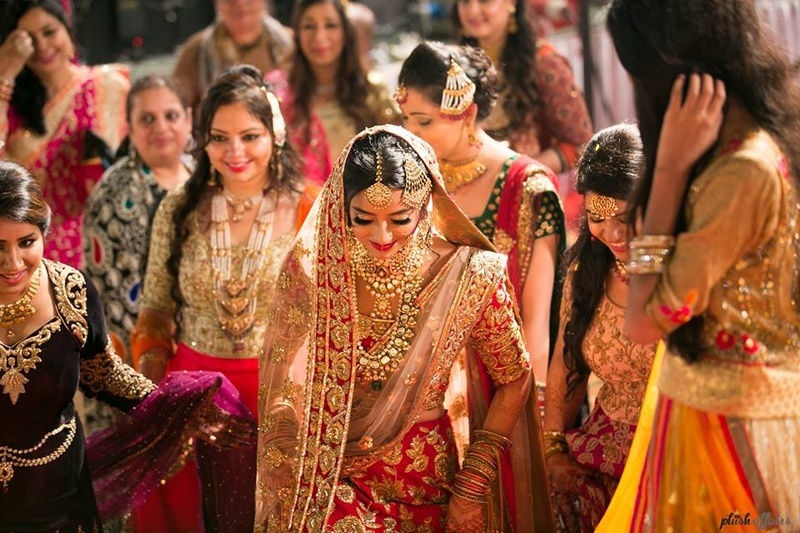 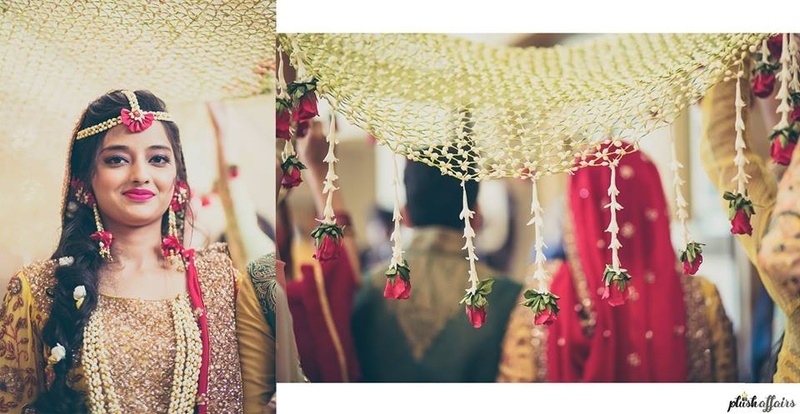 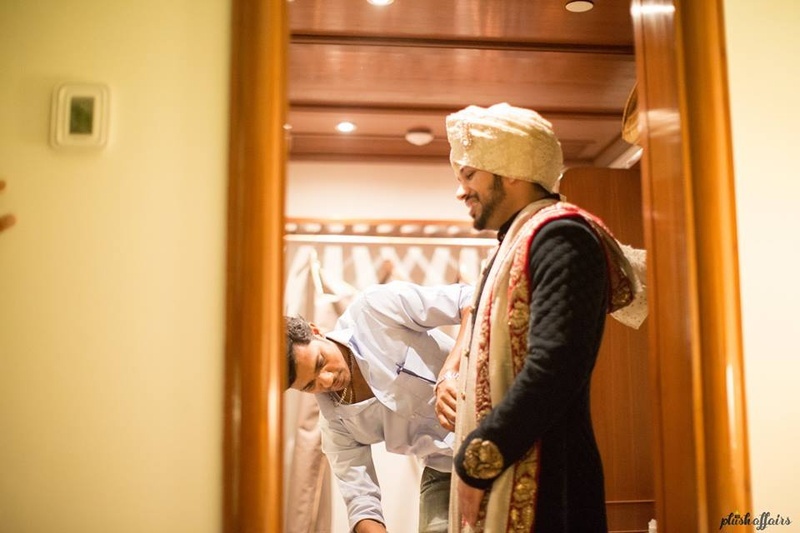 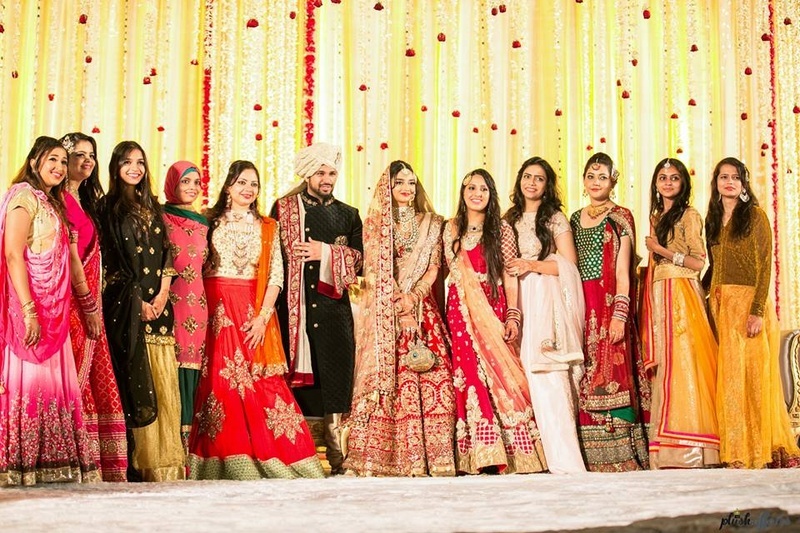 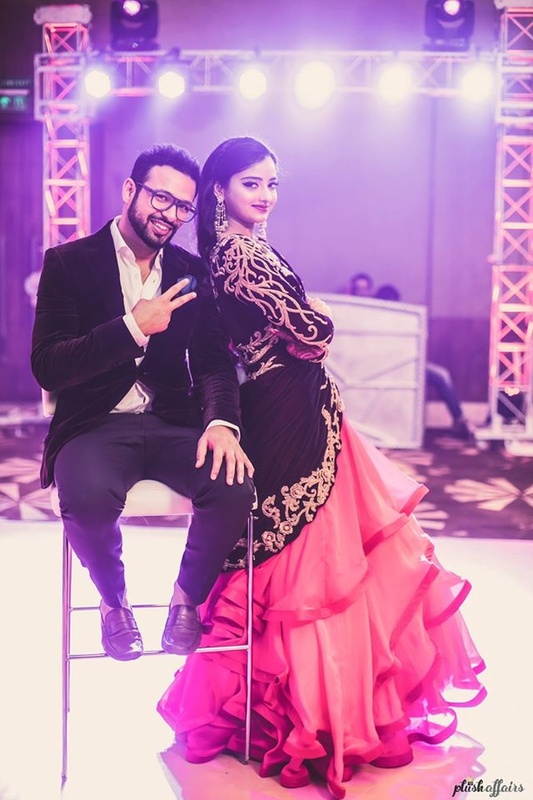 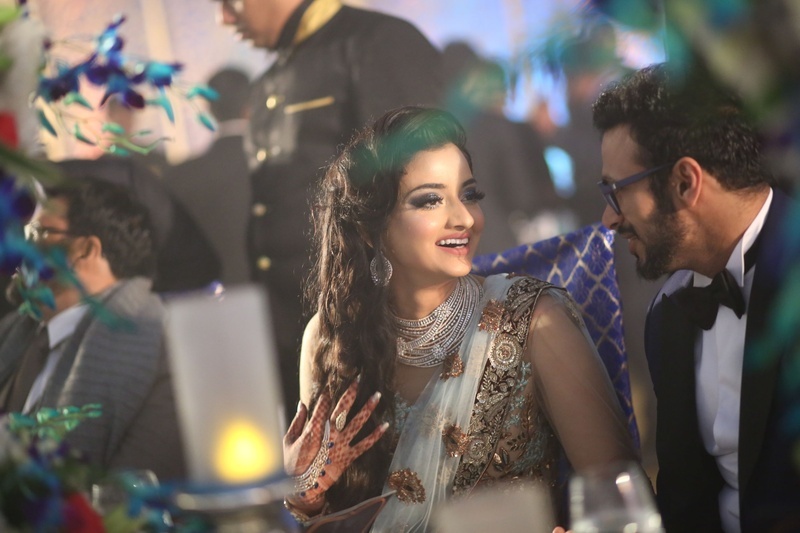 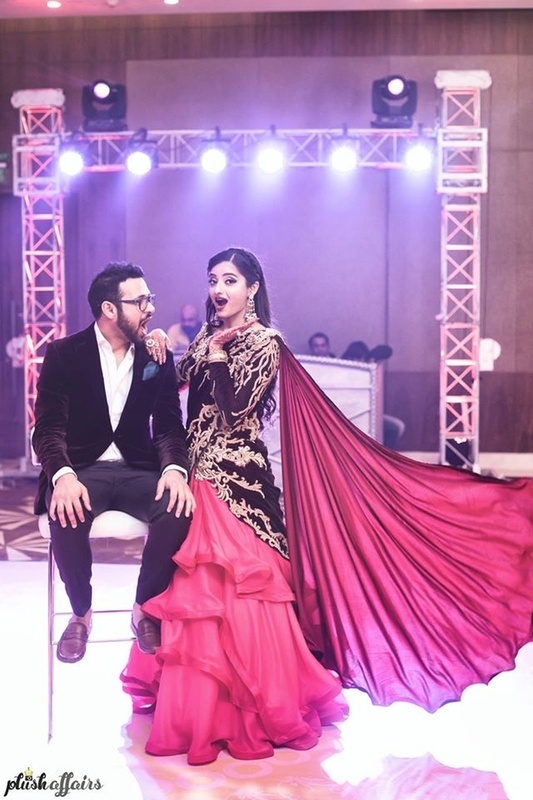 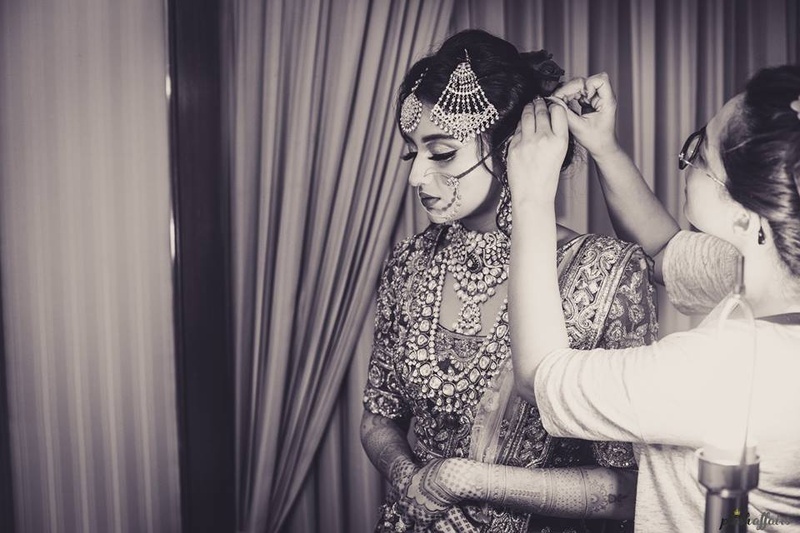 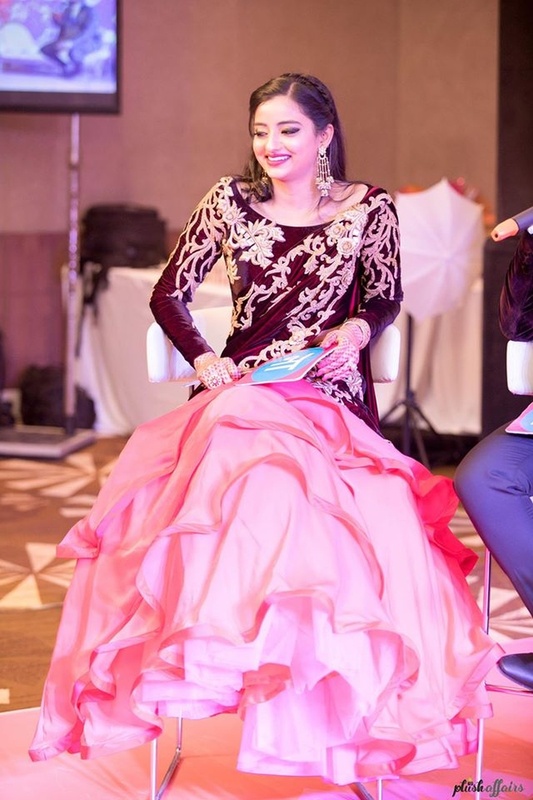 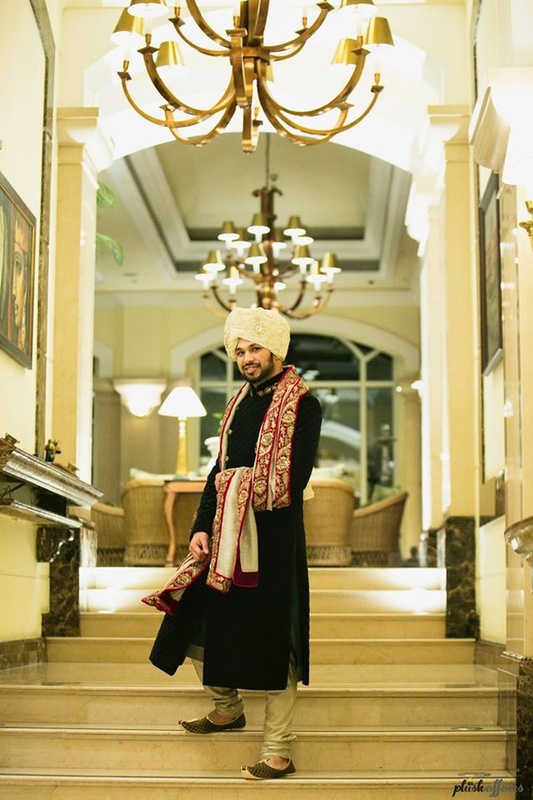 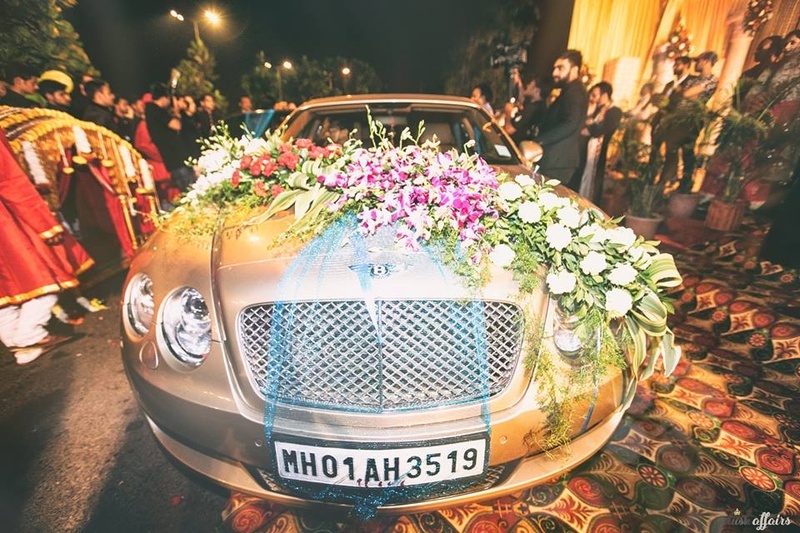 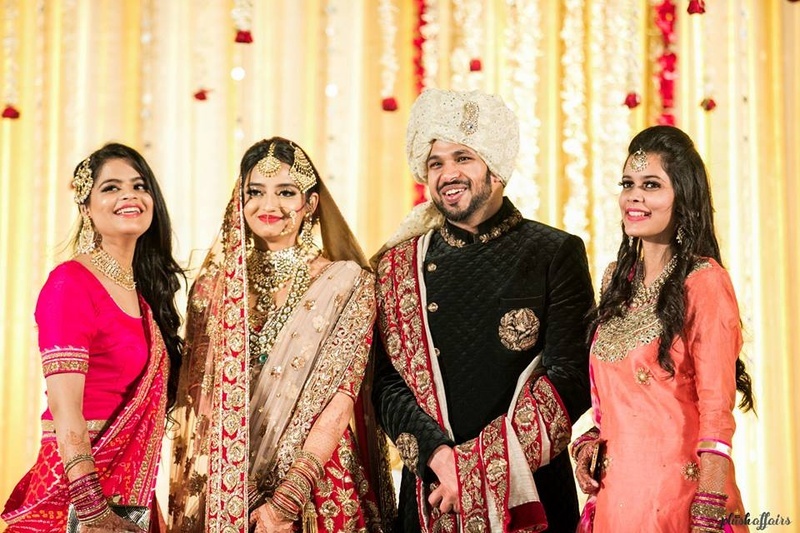 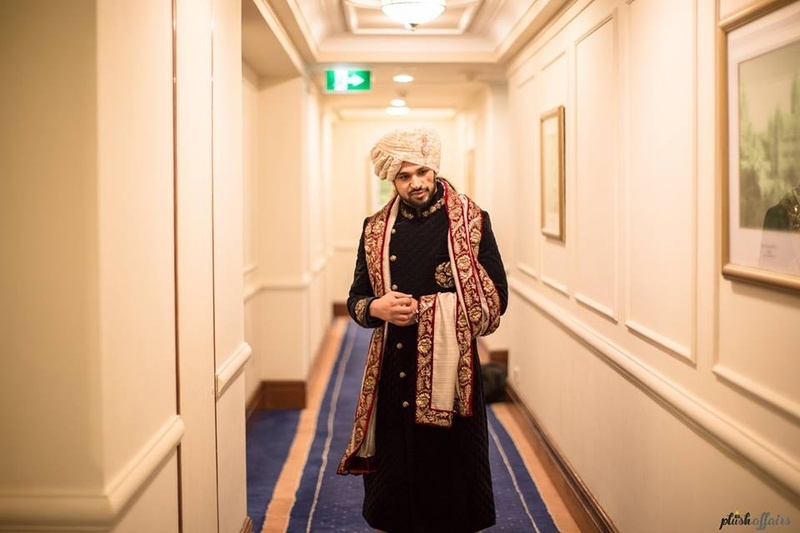 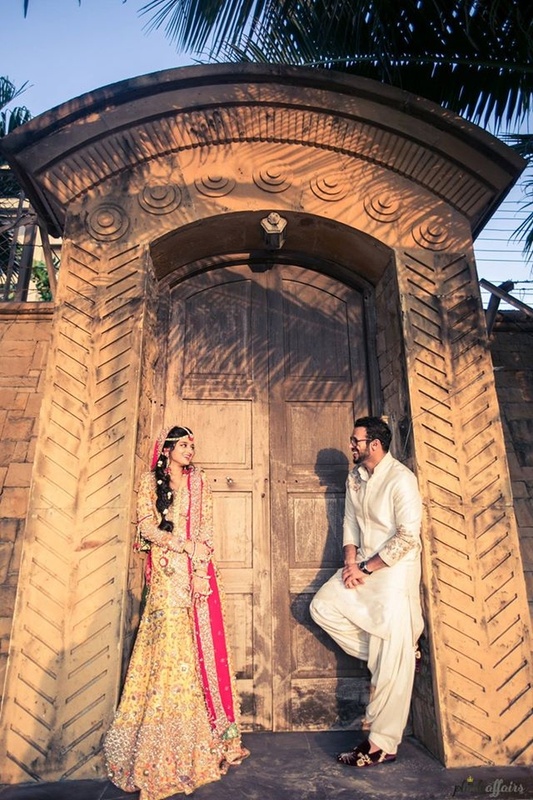 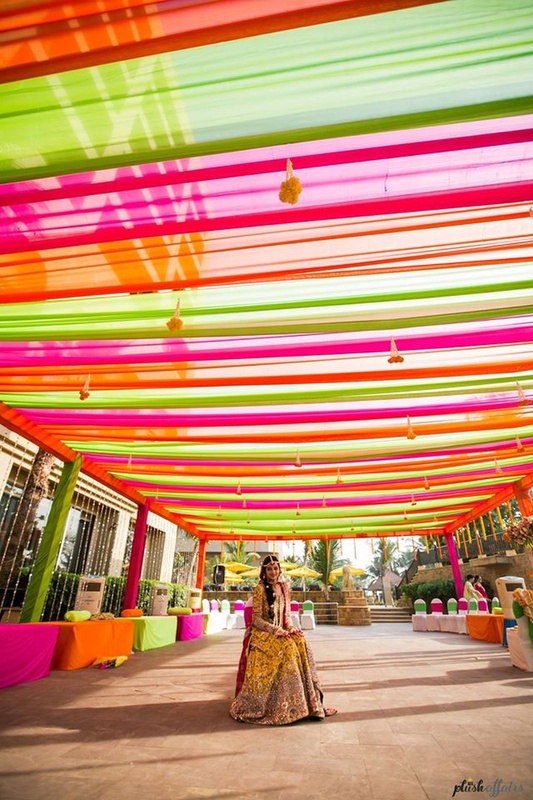 Apart from the stunning decor, what caught our undivided attention was every gorgeous outfits! 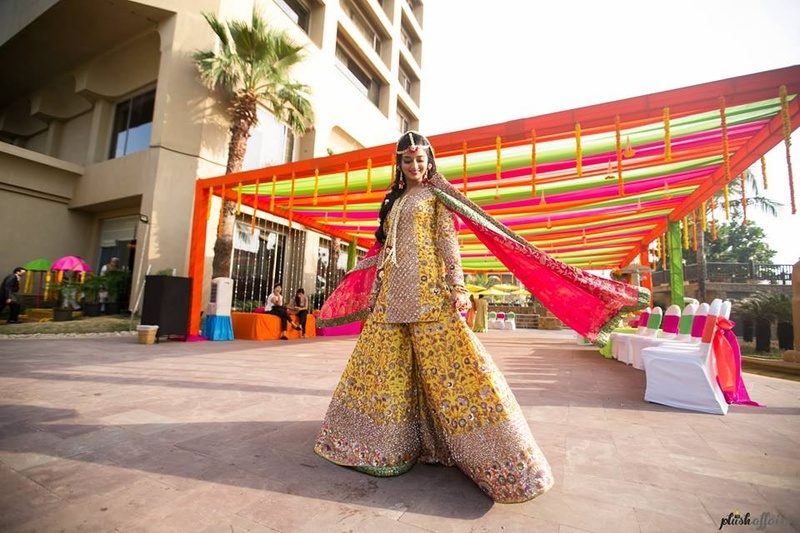 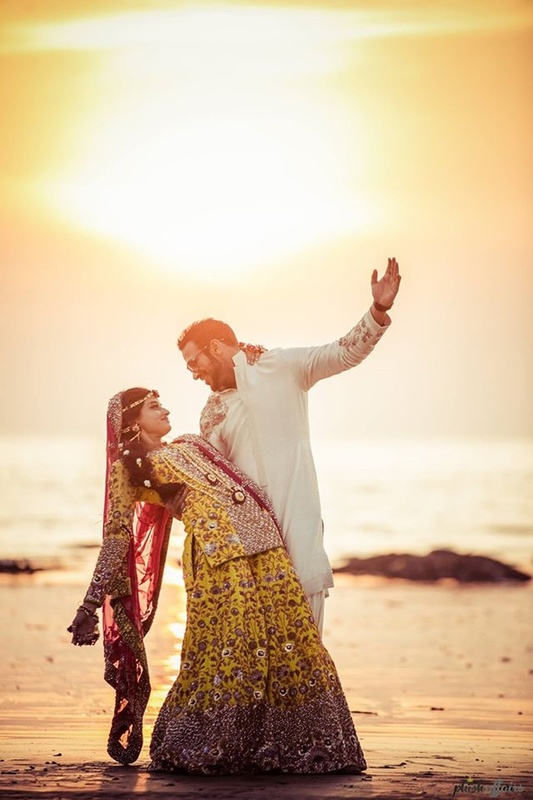 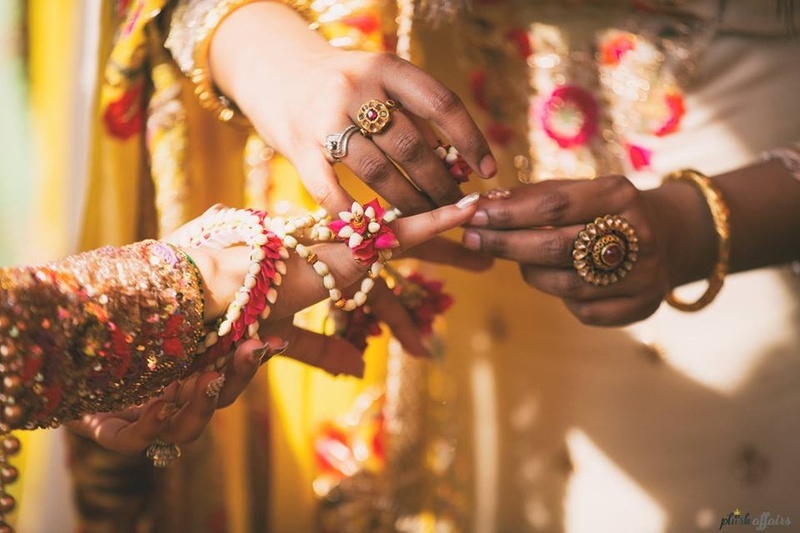 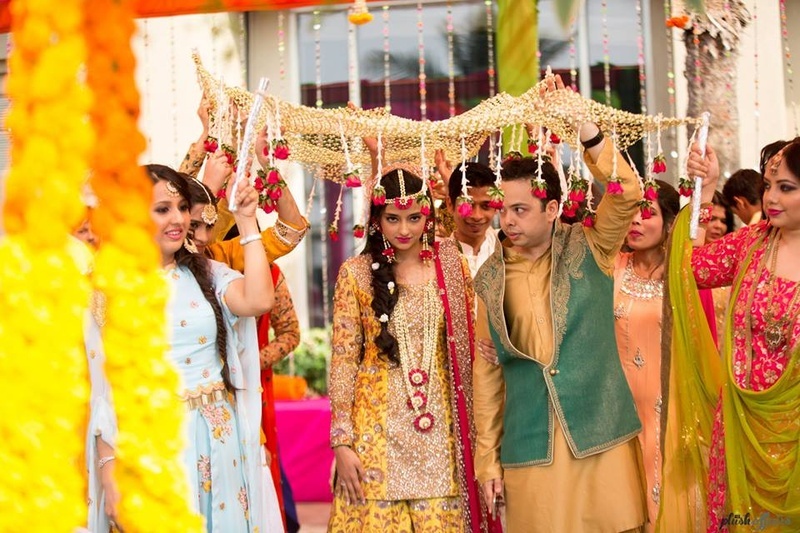 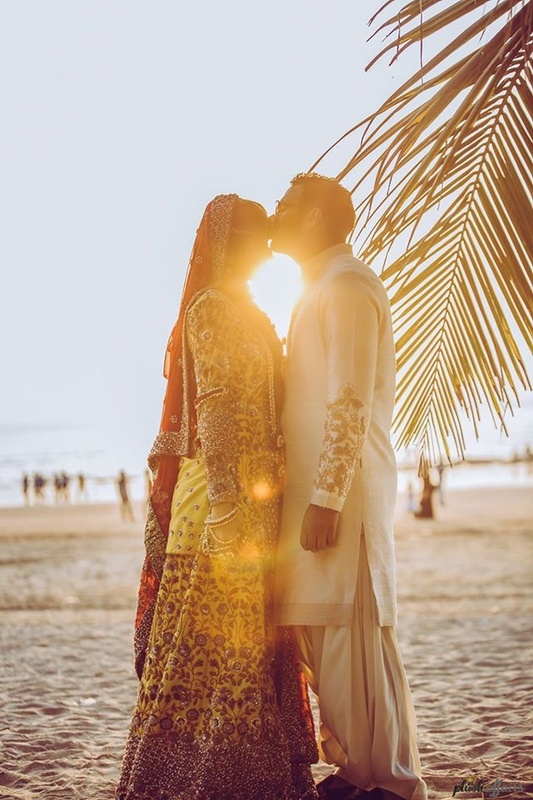 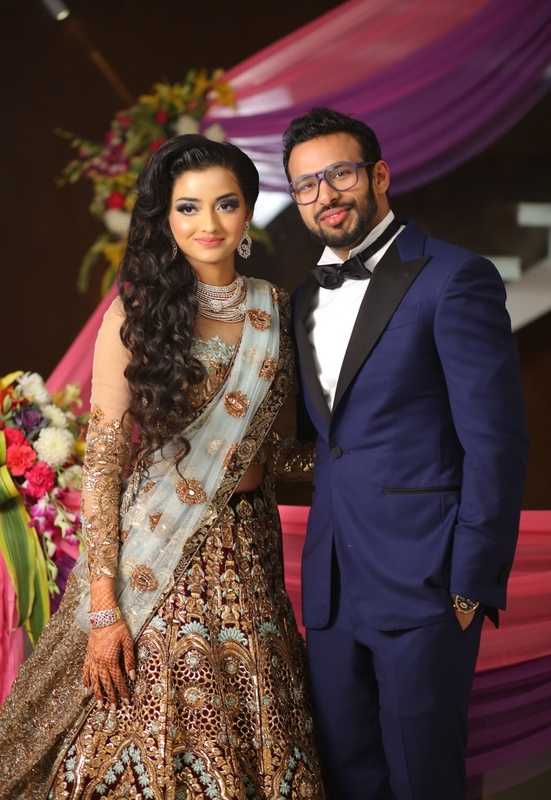 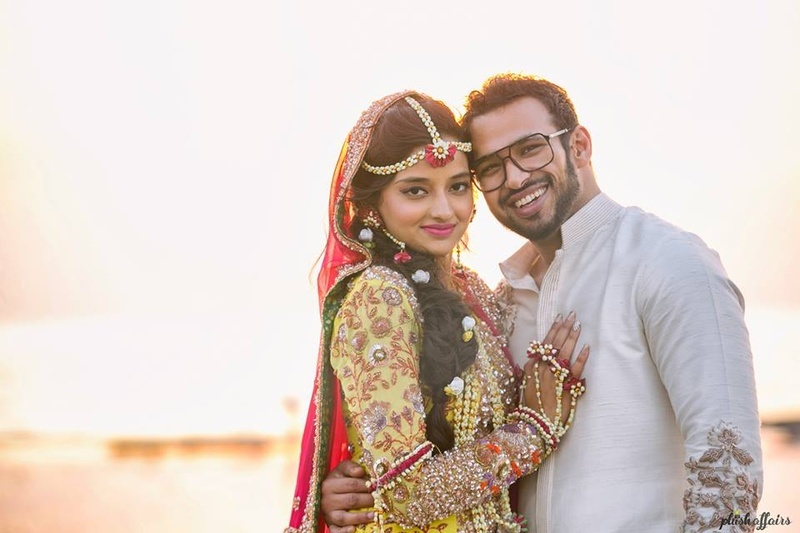 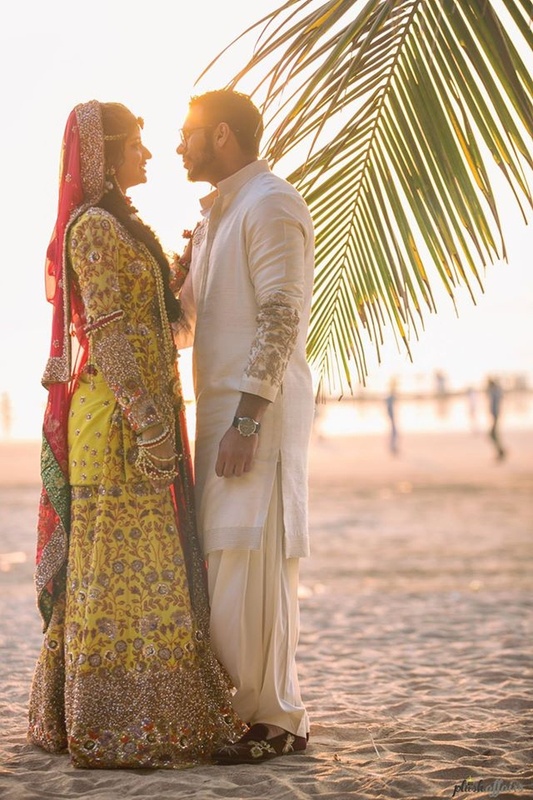 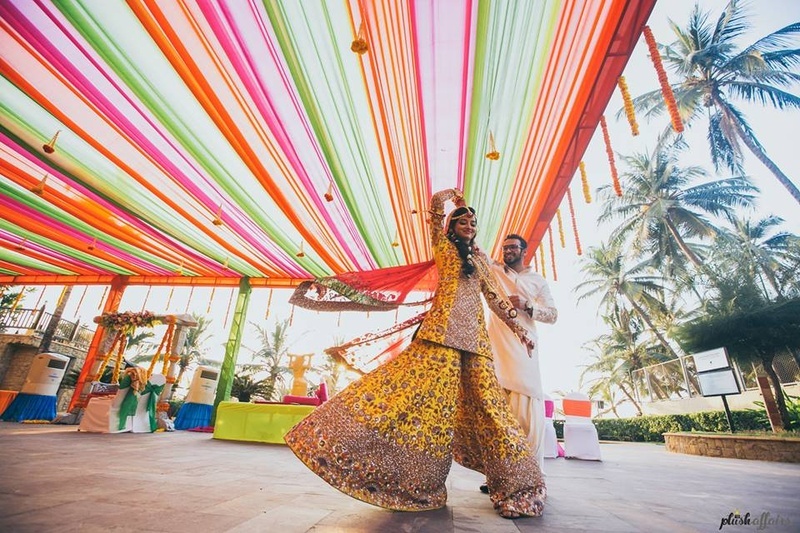 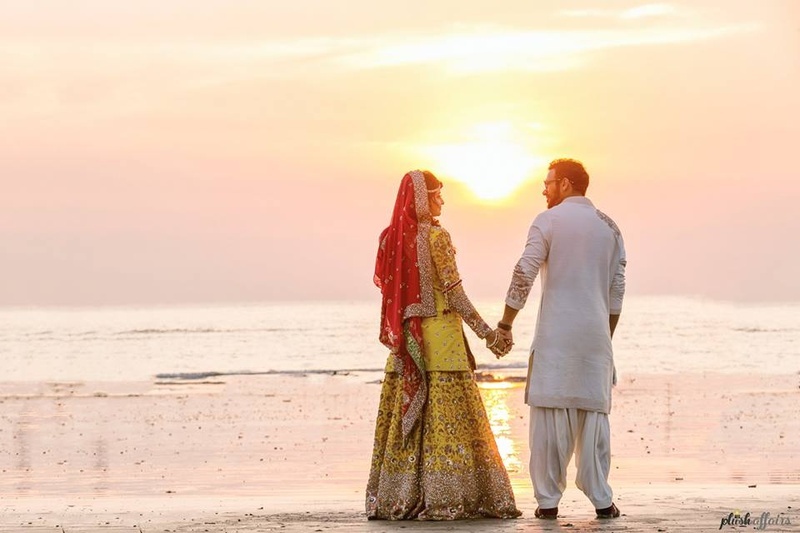 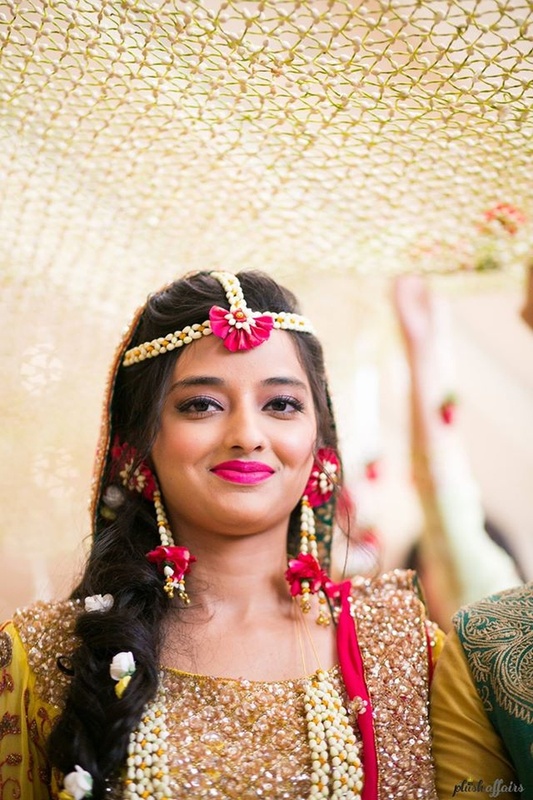 For the mehndi, she dressed herself in a haldi yellow, emboridered sharara with floral accessories that went perfectly with the casual, light and fun mehndi ambience. 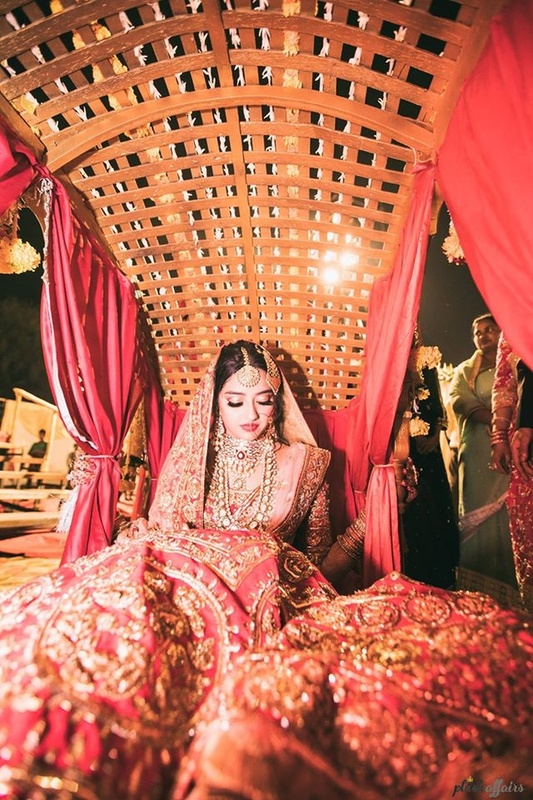 The sangeet outfit was an elaborate saree-gown in red and black along with gold embroidery, ruffles and a trailing satin 'pallu'. 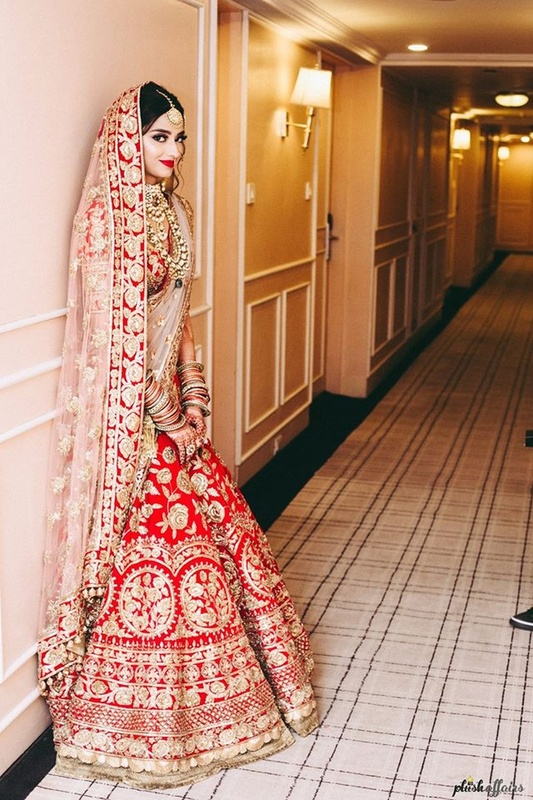 Her gorgeous red-gold wedding lehenga by Manish Malhotra was certainly the star of the show with its timeless and classic Indian elements. 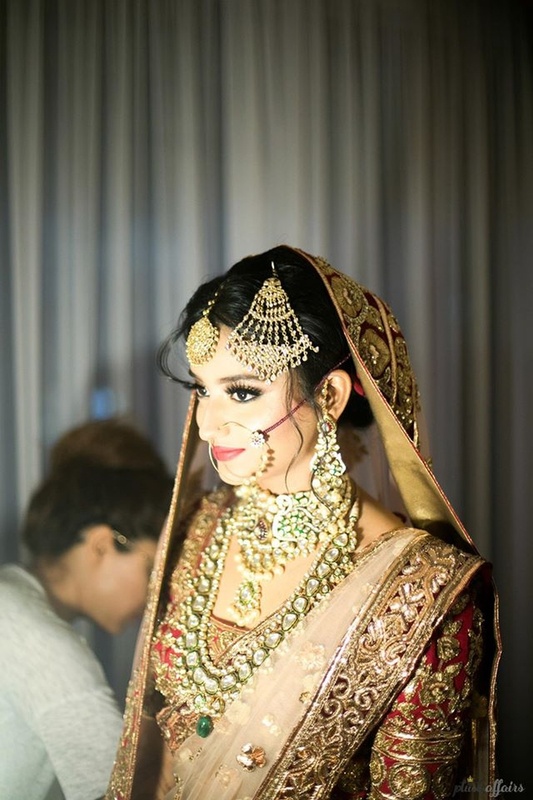 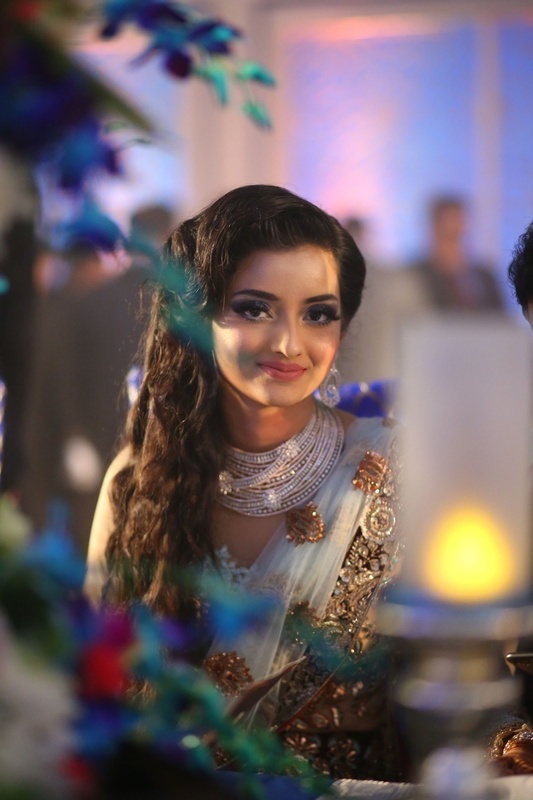 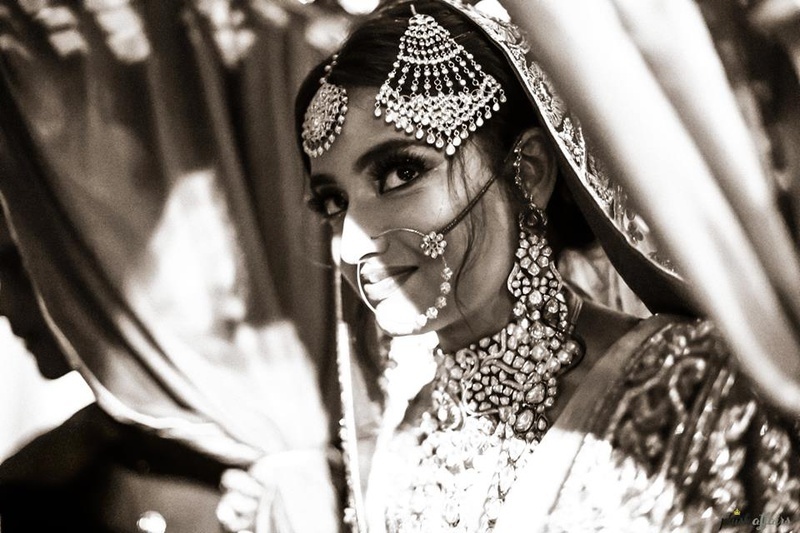 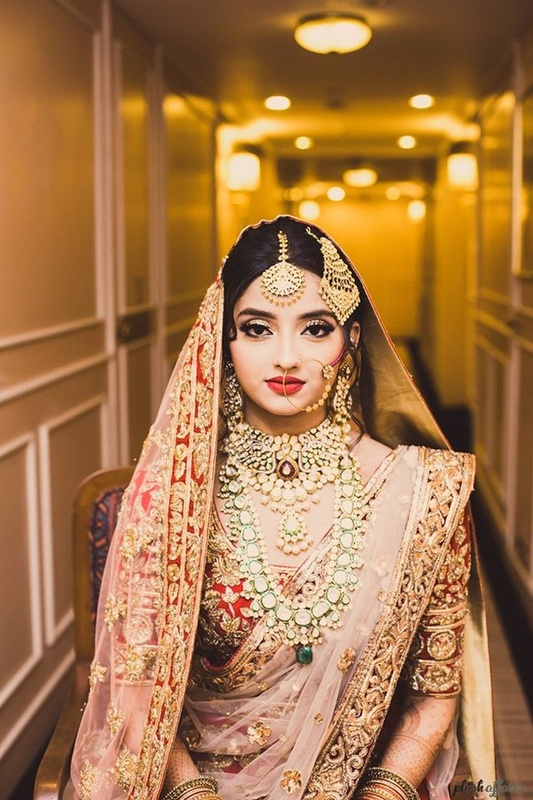 She further added to all the beauty with sparkling diamond jewellery and flawless make up. 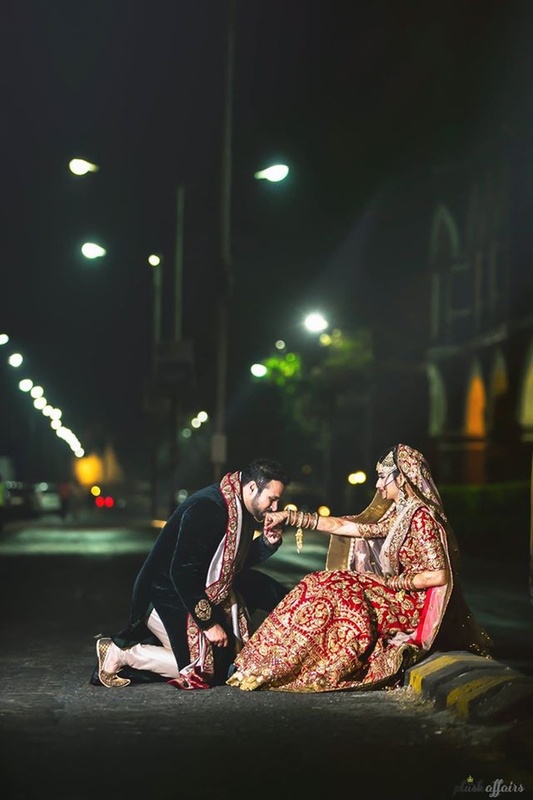 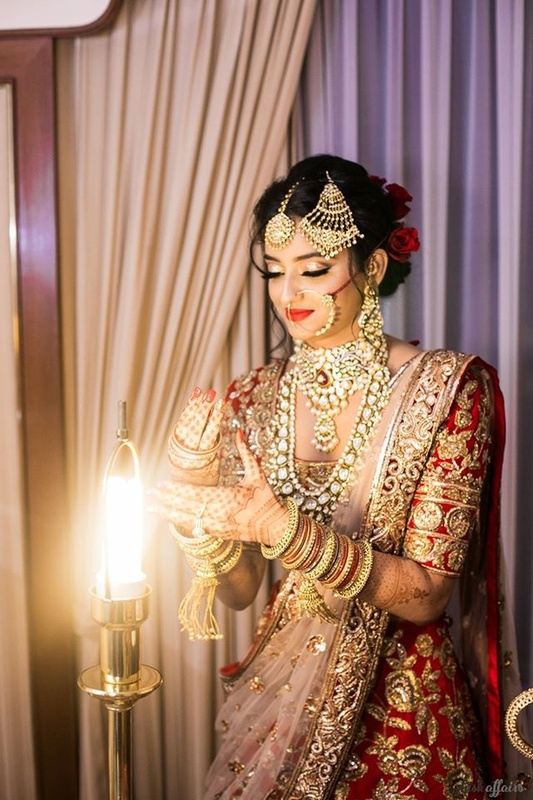 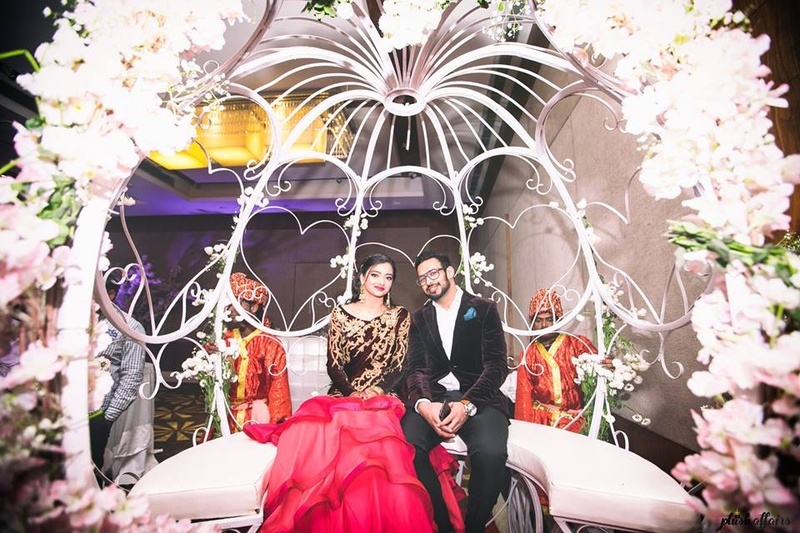 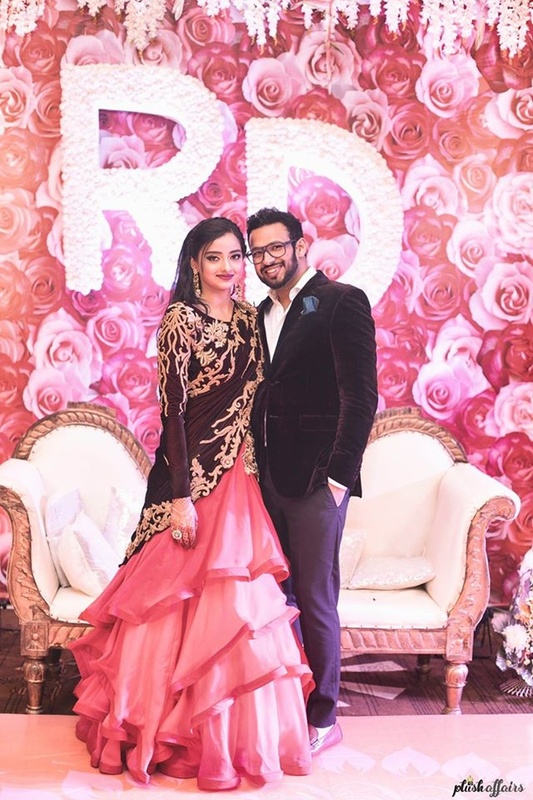 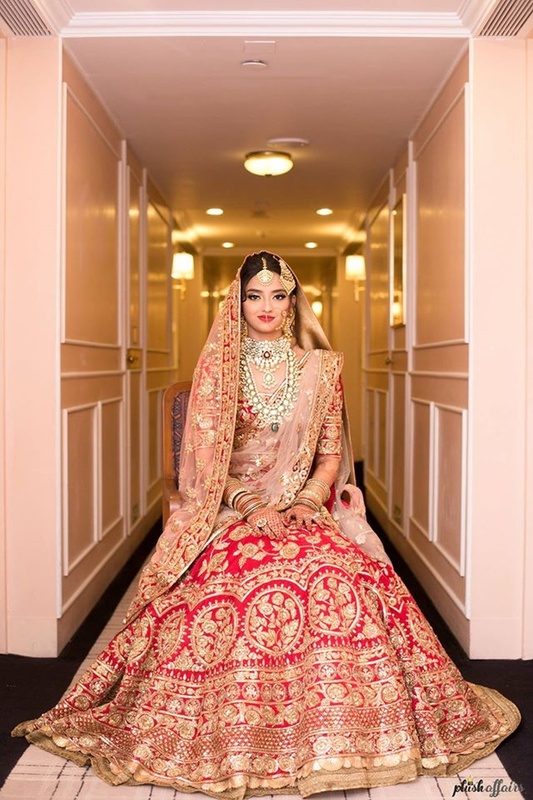 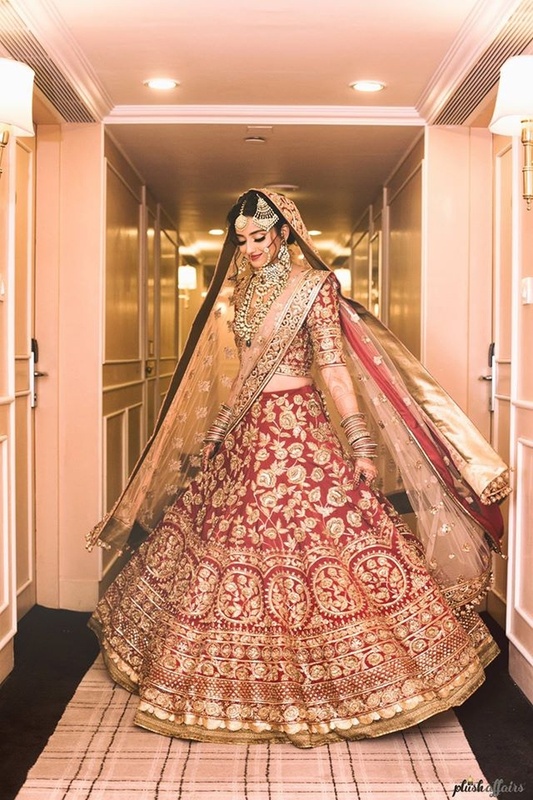 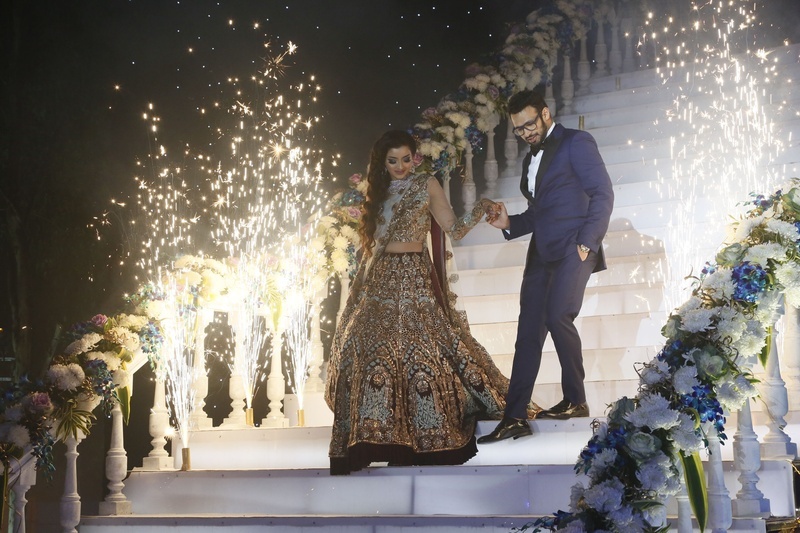 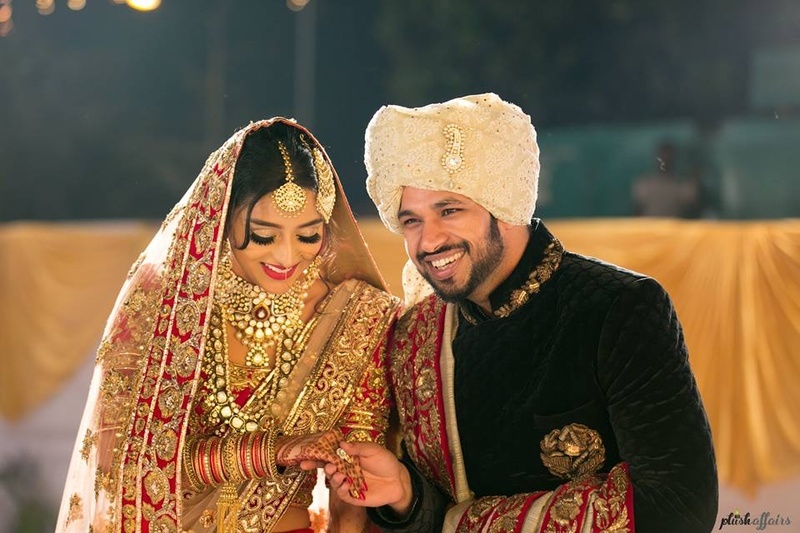 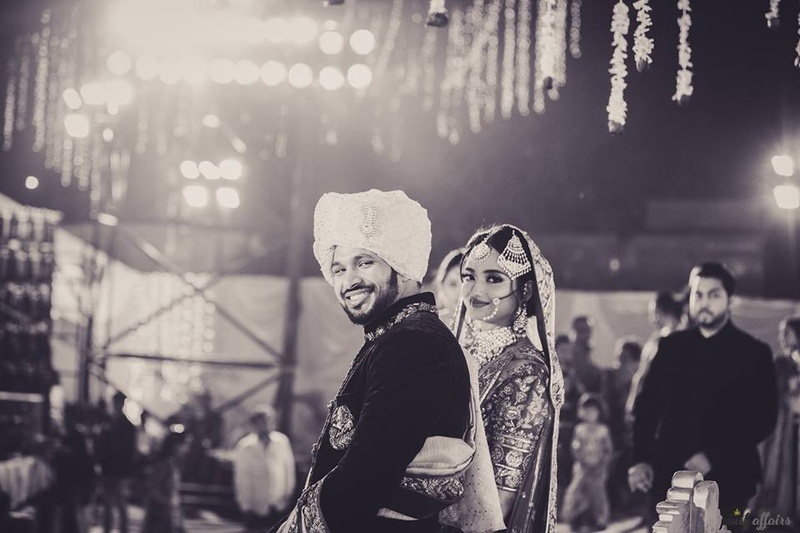 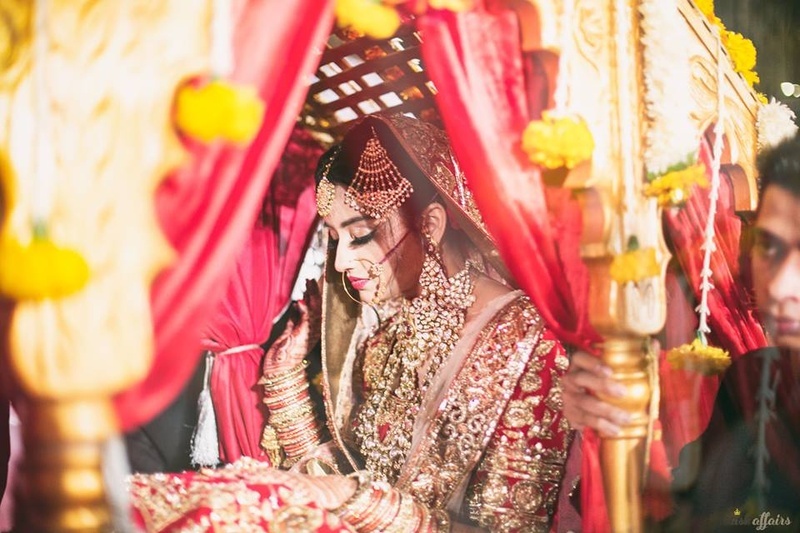 Concluding the wedding affair was her reception lehenga by Manish Malhotra which was another beautiful sight with its serene colour combination and sheer embroidery. 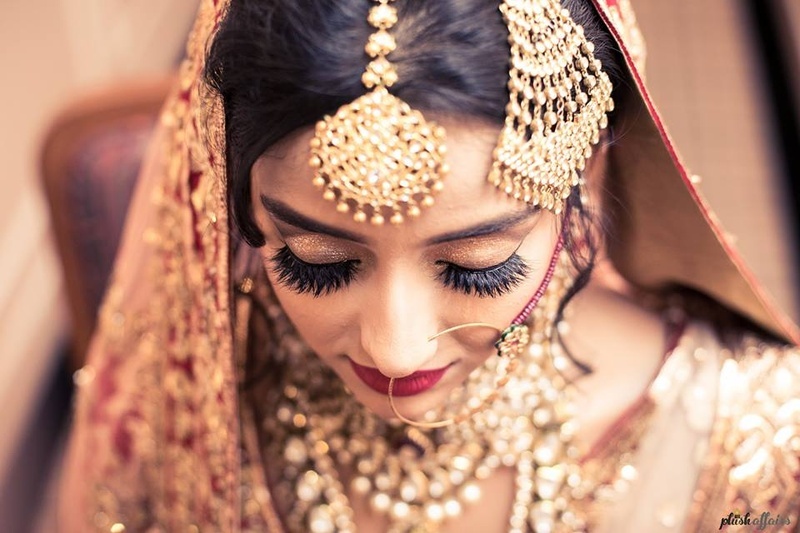 MUA: Makeup by Chandni Girdhar. 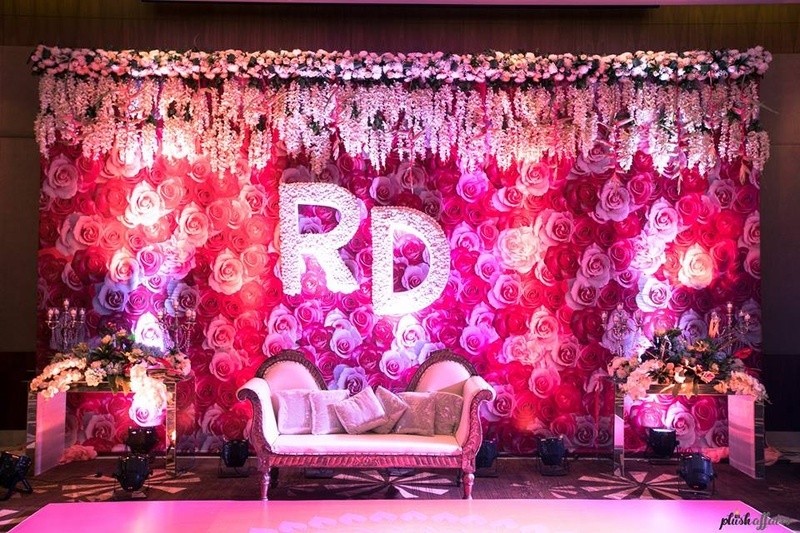 Keep scrolling to check out what we're talking about! 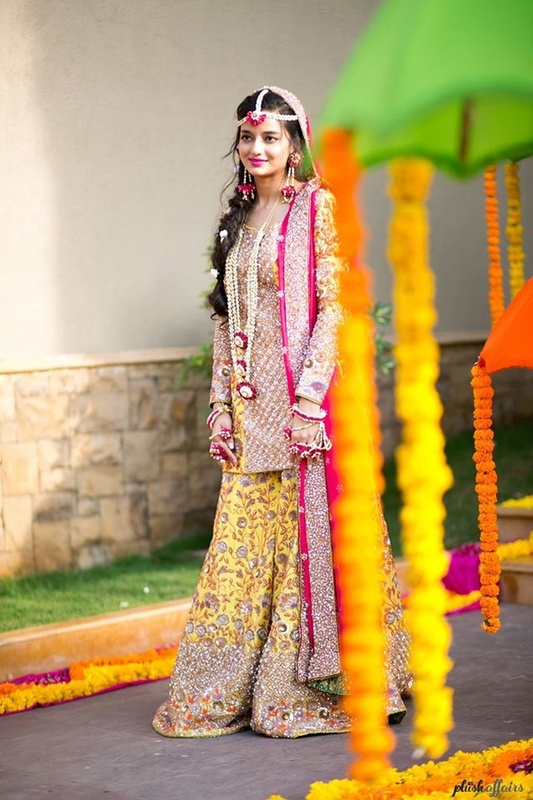 Ramsha's entry for the mehendi ceremony ! 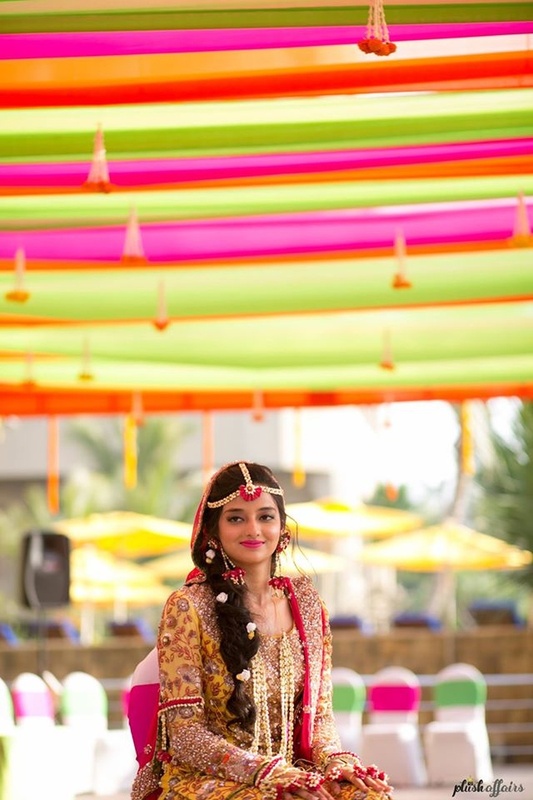 Bridal entry under floral chaadar for mehendi ceremony. 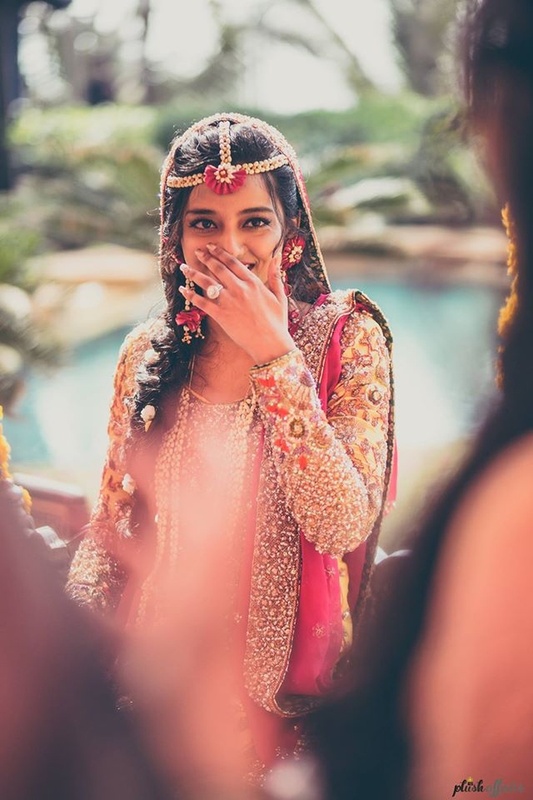 Adorned in pretty floral jewellery for the mehendi day! 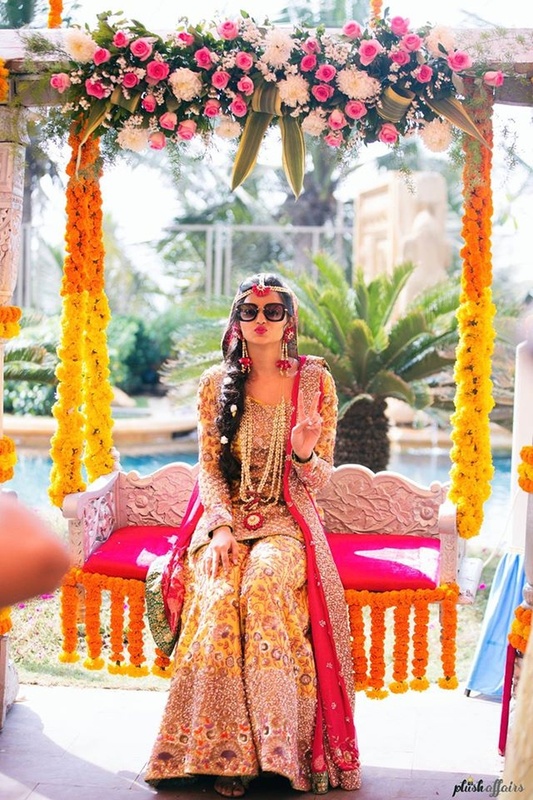 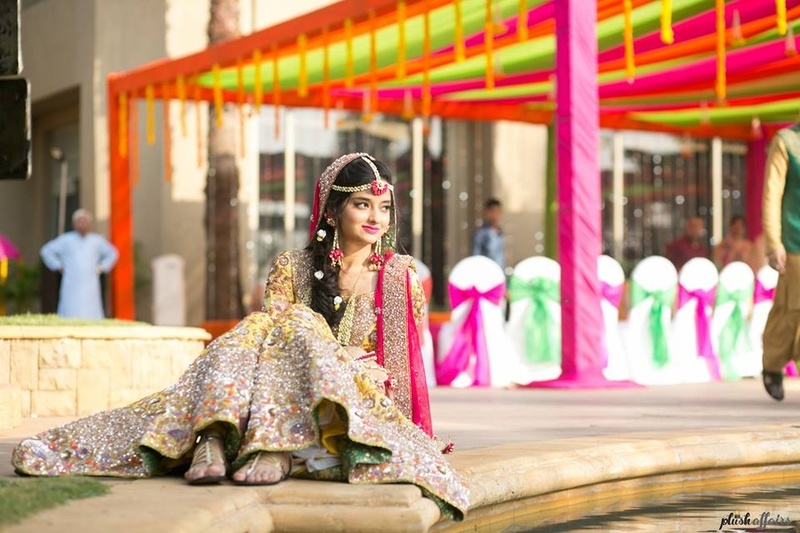 Sitting on a swing decorated beautifully with colorful floral top and genda phool decor. 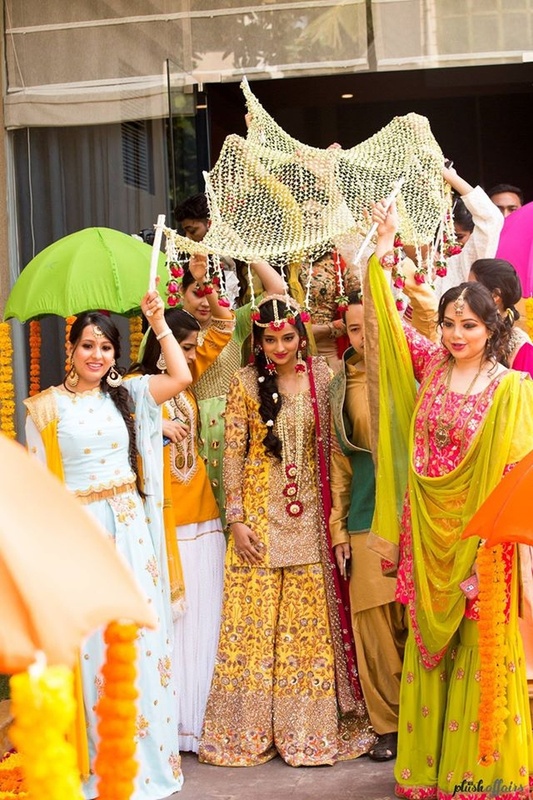 Dressed up in yellow sharara paired with a pink dupatta for mehndi ceremony.